The US campaign on the beaches of Western Italy reigns as perhaps the deadliest battle of WWII’s western theater. In January 1944, about six months before D-Day, an Allied force of thirty-six thousand soldiers launched one of the first attacks on continental Europe at Anzio, a small coastal city thirty miles south of Rome. The assault was conceived as the first step toward an eventual siege of the Italian capital. But the advance stalled and Anzio beach became a death trap. After five months of brutal fighting and monumental casualties on both sides, the Allies finally cracked the German line and marched into Rome on June 5, the day before D-Day. 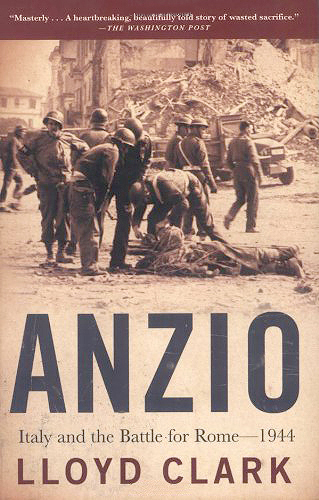 Richly detailed and fueled by extensive archival research of newspapers, letters, and diariesas well as scores of original interviews with surviving soldiers on both sides of the trenchesAnzio is a harrowing and incisive true story by one of today’s finest military historians.